*VALVUE is a trademark of the General Electric Company or its affiliates. The MASONEILAN Brand 12800 Series pneumatic level controllers are used to control and/or transmit the level in a tank with one or two fluids (interface service). 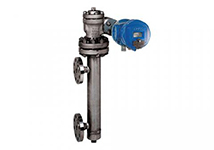 The 12800 Series level controller operates according to liquid displacement and torque tube principles. 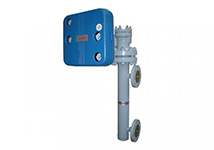 The MASONEILAN Brand 12400 Series Instrument is a two-wire loop-powered, digital displacement type level transmitter compatible with HARTTM communication protocols. This high performance instrument is easily set-up and calibrated with either GE proprietary ValVue brand communication software, EDDL, DTM a hand-held communicator, or local pushbuttons and digital display. This versatility allows the operator to configure, calibrate, and perform other functions either at the instrument or from the control room. M&M Control offers MASONEILAN Brand Products, but is neither affiliated with the OEM, GE, nor an authorized distributor of MASONEILAN Brand valves, parts or services.